STOCKTON - Last Sunday May 22, moviegoers and lunch diners in the downtown Stockton Plaza were treated to a flash mob dance performance by over 30 staff and volunteers of Stockton-San Joaquin County Public Library (SSJCPL) as well as dance students of Unique Visions Dance Company in Stockton. This is believed to be the first spontaneously performed dance event by any City of Stockton department. The dance was choreographed by Unique Visions Dance Company instructor Chelsea Hill. The song chosen by library staff was the inspiring Katy Perry tune, "Firework." The flash mob dance performance was to promote SSJCPL’s Summer Reading Program. Library staff wanted to do something different, inspiring, and grand to gain the attention of the public. “The change in music and extravagant dance moves of just a few dancers caught the eyes of some passersby, but when all dancers joined in and took over the plaza area just outside the movie theater’s ticket booth, we had everyone’s full attention,“ said Pamela Sloan, community services director. One dancer was disguised as a Regal Cinema employee wearing a uniform and sweeping the plaza until the music started. When the dancing was in full swing, the excitement built, making an amazing spectacle and encouraging shouts and whistles of encouragement from the crowd. Most every person began taking pictures or filming the event on camera phones. “This was an amazing event that came to fruition after a lot of after-work rehearsals. I cannot be more proud of the library staff and volunteers. They invested their own time to promote Summer Reading,” said Suzy Daveluy, youth services coordinator for SSJCPL. The Summer Reading program is for infants and adults alike who wish to read, and attend free, fun and educational programs. By completing a Summer Reading Passport people can win prizes for reading, too. The goal of the Summer Reading Program is to remind people of the importance of reading. Many studies have shown that children who do not read during summer months are at risk of losing the reading skills they have developed during the school months. 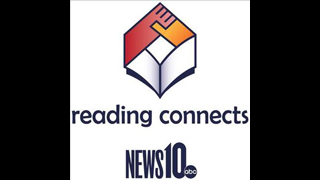 SSJCPL wants to support children in maintaining their reading skills by offering a book-based program that celebrates reading. During the flash mob dance, some library staff held up signs that promoted Summer Reading and encouraged people to visit the Library in general. At the conclusion of the event, flyers were offered to the crowd that advertised the start date and purpose of the Summer Reading program. “We were really excited about bringing the flash mob phenomenon to the City of Stockton. We felt it would not only be good for the library, but also for the city. In the midst of bad news and negativity, it was my mission to bring something uplifting and positive to the forefront,” said Heather Mompean, community relations and marketing officer for SSJCPL. Mompean, and seven additional library staff members that participated in the Flash Mob Dance, received their layoffs notices earlier this year. “When people could become negative and disgruntled, it is a pleasure to see the choice to instead be positive and proactive – that’s what these individuals did,“ said Chris Freeman, city librarian for SSJCPL. The greater cause was recognized and supported. Not only was the flash mob experience positive for the morale of those that participated in the dance, but the upbeat energy was shared with the general public as well -- all for the bigger goal of encouraging participation in SSJCPL’s Summer Reading Program. Visit any SSJCPL library branch beginning June 1st and sign-up for the Summer Reading Programto win prizes. Check out the SSJCPL website for a full listing of events and programs that will take place at all the branches in Stockton and throughout San Joaquin County.